Here are some of the absolute best pallet furniture ideas for home decoration. These creative DIY projects feature wooden pallets in different sizes. Some of these projects are ideal for beginners while others require more technical expertise. The point is to have fun and let your creativity flourish. One of the great things about pallets of wood is that you can usually find them lying around behind a supermarket or distribution warehouse. Some companies recycle them while others simply throw them away. Some of the projects in this collection are constructed from reclaimed wood while others are obviously brand new and have never been used in any other application. The best way to approach these pallet ideas is to be patient in the early stages. Gather the pallets you think you’ll need. Is your project going to be an indoor or outdoor installation? Are you going for an industrial or rustic look? How many pallets do you think you’ll need? Pallets might look simple, but they are not all created equal. Some have subtle variations that can throw your design off if you’re not careful. Separate the pallets that you want to use in their entirety from the pallets that you will pull individual pieces from. Custom wooden furniture can be expensive if you buy them ready-made at auction or from a gallery. So why not try your hand at it with materials that are readily available? You don’t have to spend much money on accent pieces to match the wood and you can even pull pieces from other furniture items. Wood pallets are primarily meant for storage and shipping, so they can take a beating. That’s great news for you because you want them to last for a long time. 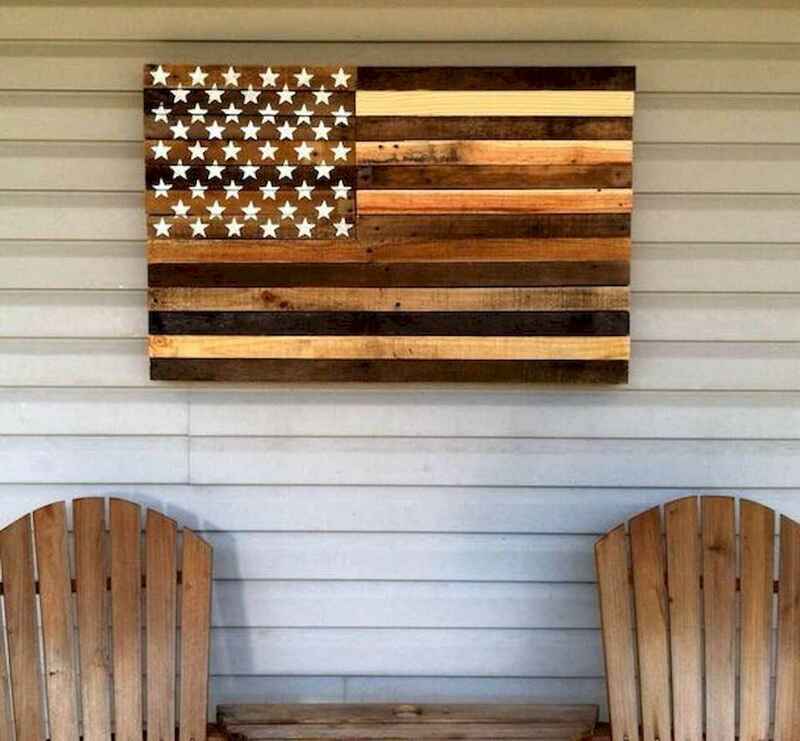 So start picking up some pallets and let these pallet ideas inspire you.